CRL match preview for the 2018 Group 2 Grand Final. The 2018 competition season for Group 2 begins on Sunday 8 April 2018. Elimination & Preliminary Semi Final Results. East Coast Dolphins Under 23 squad announced. 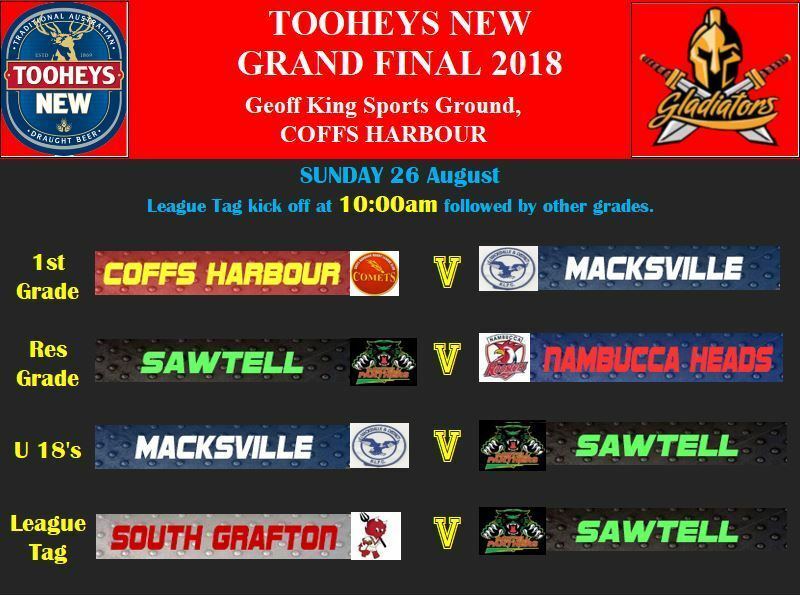 "Nambucca Roosters are prepped for this weekend’s second local derby against the Macksville Sea Eagles. Group 2 has issued a training notice for all Group 2 players selected in the North Coast representative team. ALL players must attend training on Wednesday 11th May. The opening round of competition for 2016 licks off this Sunday 3rd April. Macksville & Nambucca swap home games for season. Macksville & Nambucca Heads have agreed to swap their home/away games for the season. Rebel yell heard loud and clear as South Grafton win title. Round 7 - Last games of first half of competition season. CRL Issue Direction Regarding On-Field Personnel. Please read the CRL Email and comply with the C.R.L. direction. There are no exceptions to this rule. Clubs will be fined/points taken from them for non compliance. WOOLGOOLGA president Peter Brown has declared his club a certain starter for the Group 2 Rugby League season. Group 2 First Grade Interchange Rules. Click to open this report to view full list of rules. Changes trialled for Youth Age Group Competitions. CRL Regional Manager, Kevin Hill, has ratified a decision by clubs in the CRL East Coast Division to trial a variation to the eligibility age requirements for the Under 16 & Under 18 competitions.